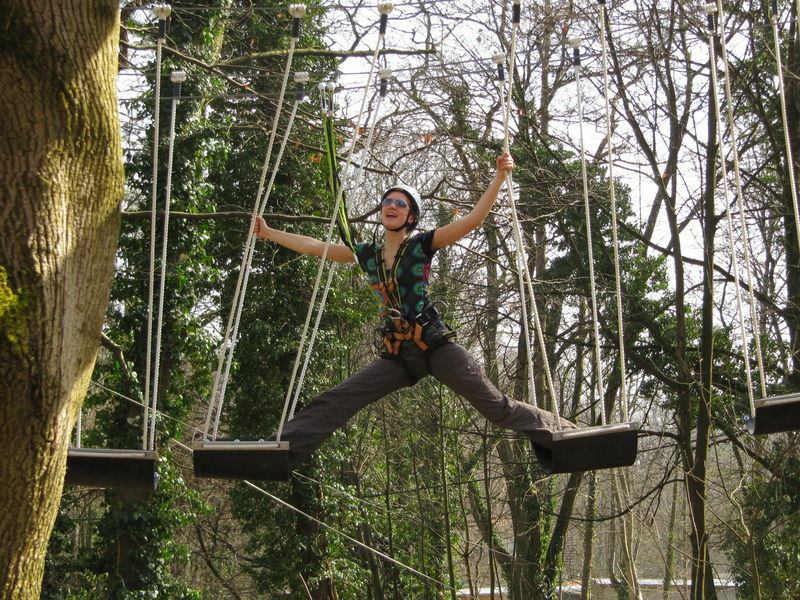 The high rope course in Karlsruhe is a tree-borne adventure trail consisting of intriguing and interesting obstacles such as bridges and nets suspended between trees at heights ranging from 1 to 15 metres. 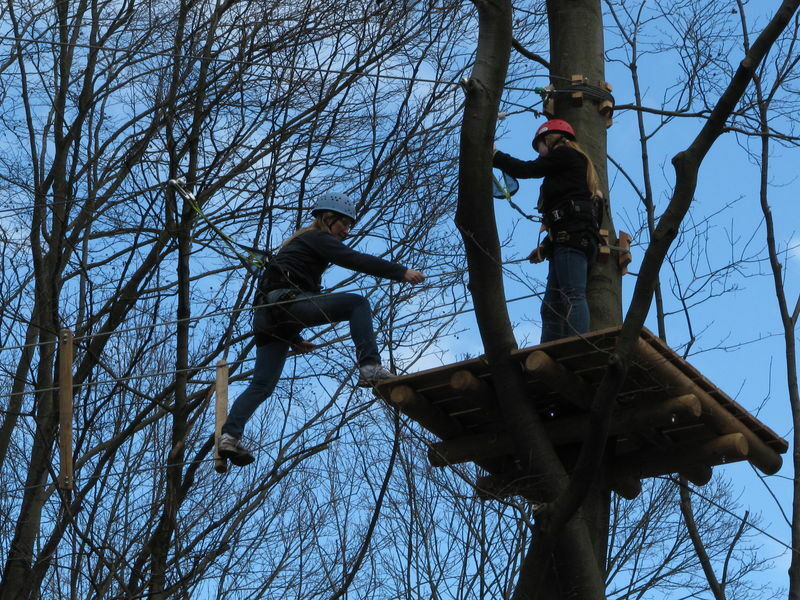 All obstacles on the high rope course in Karlsruhe have been attached to the trees with specially designed clamping devices (so no damage to the trees). These make up several obstacles courses with varying levels of difficulty. There are special climbing obstacles set up at a low height for kids. The safety system for securing yourself on each obstacle is very easy to use, and ensures maximum safety for everyone enjoying the high rope course. The system is designed for fastening at each platform between individual obstacles. This allows everyone to move on to the next obstacle at their own pace and according to their own ability. Faster people can overtake at each platform without any problems. No particular fitness level or physical condition is necessary to use the obstacle course. After a safety briefing and a quick run through a practice course, all climbers (7 years or older) can monkey around the obstacle courses by themselves. Everyone is free to select their level of difficulty – fun, adventure and thrills are on the agenda for every visitor. A special yellow obstacle course has been set up for children from 4 to 6 years of age. All of the Karlsruhe obstacle courses end with a flying fox (zip-line), the longest of which is 80 metres. Below you will find information on admission prices.